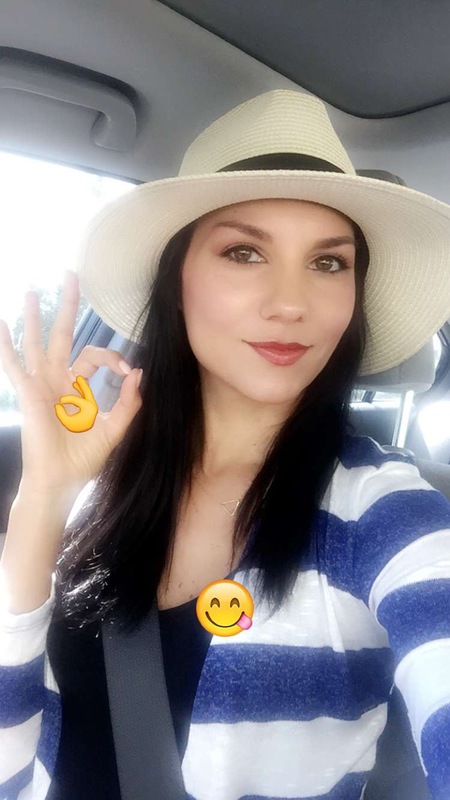 As you know, I am ALL about using the purest, organic, most natural and crulty-free products and living the healthiest and happiest life possible. I am always eager to share new things with my friends and I want to keep expanding and share not only food/recipes but also beauty, fashion, travel, home decor and any other aspects of my healthyhappy life! 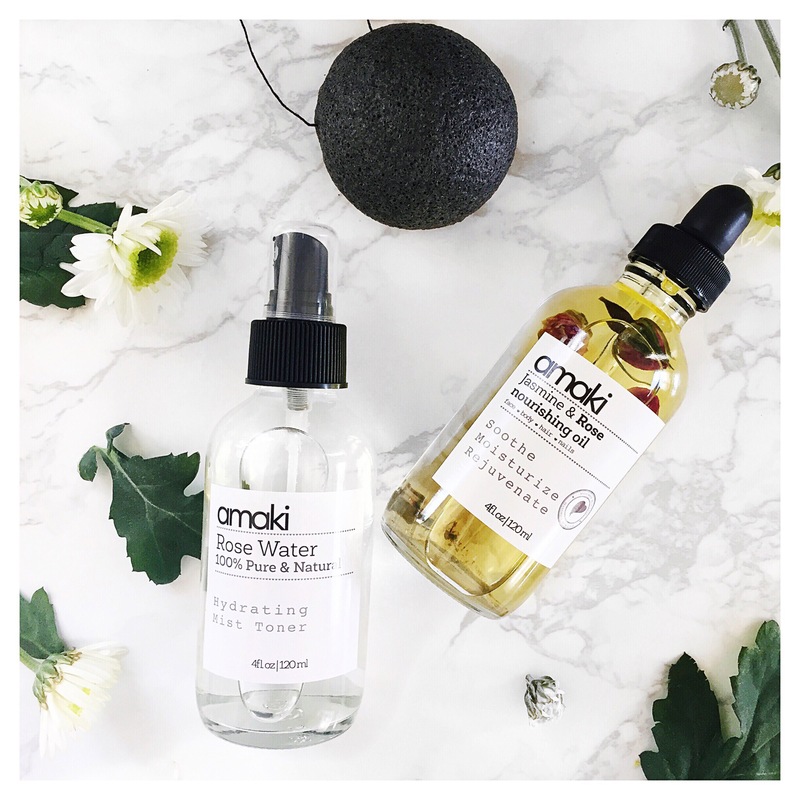 I’m excited to share with you some very lovely products I received for review…I have to say, I am very impressed by these 3 full size items I got from Amaki Skincare! Not only are they visually beautiful, they smell amazing and actually are very effective. 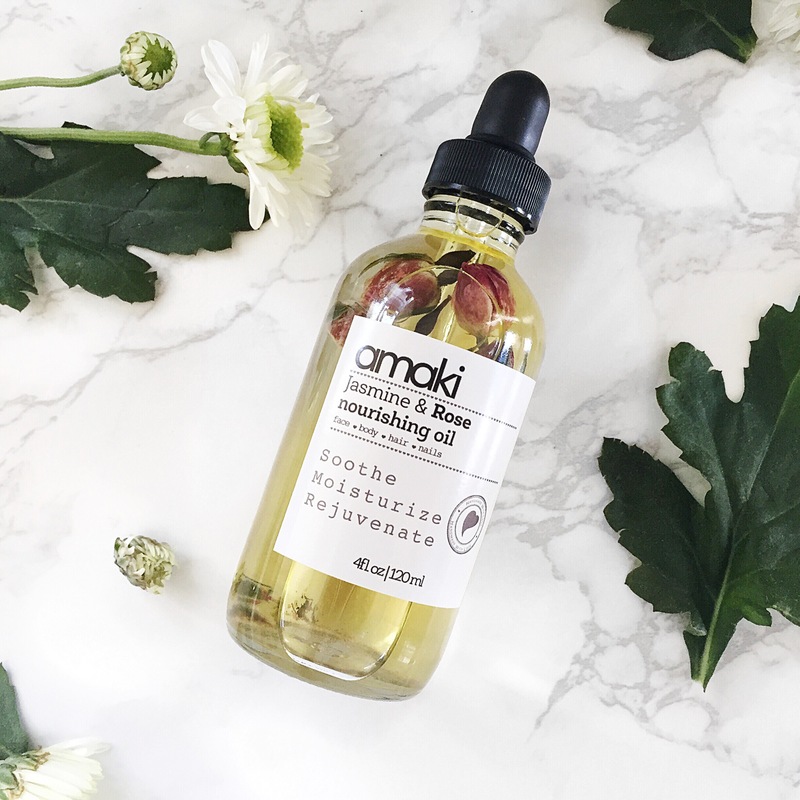 Amaki skincare is a family owned business and started by a certified esthetician. The products were created to help heal imperfections and leave skin soft and glowing. I love that all ingredients are organic and sourced in the USA! They sent me a 3 piece set which is part of a really great Mother’s Day promotion they are running. Products are normally $51 but this set is only $37. Well worth it for a gift or for yourself! It comes in the cutest box and packaging all ready to go! Here is an honest review of the products and my thoughts! Makeup Setter/Refresher: Use it after cleansing before your moisturizer to help your moisturizer work even better. You can also apply it after foundation (before powder) to set your makeup. 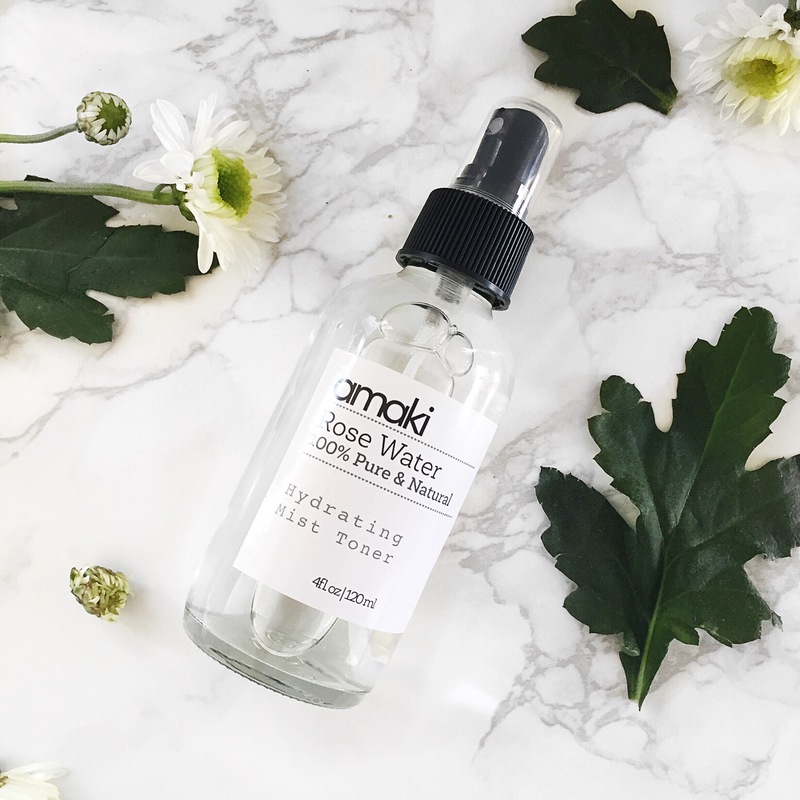 Spritz on face ANY time of day to refresh your makeup! I’ve used it all the above ways and I absolutely love it! It smells so heavenly and really helps to keep my skin soft and helps with the occasional flakiness I get while wearing makeup. Hair Treatment: After shampooing, use it as a final rinse to soft and refresh hair and leave it smelling amazing for hours. Eye Brightener: Soak cotton pad with rose water and place under eye for a few minutes to relieve puffiness and redness! So awesome to have this stuff on hand! Overall Thoughts: I enjoy this product so much! I’ve heard about rose water toners for years but never owned one. I have had facials where it would be spritzed on my face and it always felt like such a treat! Now I can do it anytime of the day and not only does it really refresh my skin, it brightens my mood too! What it does: Cleans and removes all makeup while gently exfoliating and drawing out impurities in the skin. Added charcoal helps to wash away blackheads and whiteheads. How to use: Soak it under warm water to soften and massage onto face with or without facial cleanser. Overall Thoughts: I really like this sponge! I’ve even been using it in place of my Clarisonic Mia. It feels gentle but it does a great job of getting rid of dead skin and congestion. I tend to have to exfoliate quite a bit because I am prone to congestion and also rosacea, which makes exfoliating tricky. 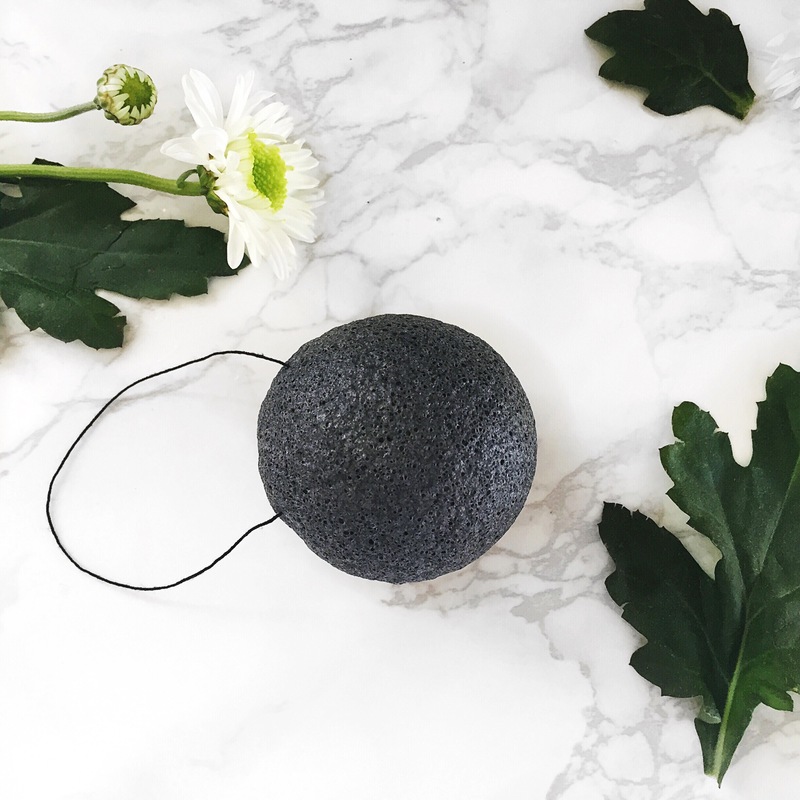 I find that using this sponge doesn’t flare up my rosacea but does a great job of exfoliating. It is also very cute and fun to use, it comes with a little suction cup that you can hang near your sink! What is it? Made from the highest quality evening primrose oil, jojoba oil, sweet almond oil, argan oil, rosehip oil, bergamont essential oil, rose geranium essential oil, jasmine essential oil and rosebuds. What it does: Lightweight oil is quickly absorbed leaving skin balanced and hydrated. How to use: This oil is gentle and nourishing for face, body, hair and nails! Overall thoughts: If you know me, you know that I LOVE jasmine, almost anything jasmine. Combine that with pure organic oils and essential oils and beautiful rose, well, I just feel like a princess using this. It is NOT greasy at all! I use it on my face and hair and it hydrates perfectly. It makes my hair really shiny and smells SO GOOD! the whole process can take several months and it starts to feel almost like life is put on-hold until it is complete…In the book “The Life Changing Magic of Tidying Up” Marie Kondo explains how tidying your space can tidy your life and can even lead to the organization of your life on a much greater scale. It truly helps you to discover your true interests, personal style and what really makes you happy. As you hold each item, in one category at a time (clothes, books, misc. ), in your hand and ask yourself does this “spark joy?” If it doesn’t spark joy it gets thrown in the pile of stuff to get rid of thus clearing your home and ultimately your mind as well. I finally finished going through this process and while I still have a lot to do as far as organizing my space, I have gotten rid of so many things and feel so light and free. I wanted to go through this process to help me decide what I wanted to do next with my life…I was engaged last year and thought my life was heading in a particular direction only to find it not to be and the apartment I am living in holds many memories of the past 6 years, should I get a fresh start? I do really love my place and especially my neighborhood. I feel safe and secure here and it’s kind of in my comfort zone (which can be a good thing as a single women living in a big city). Still, I can’t help but feel moving would feel really exciting. I hate to use money as an excuse for anything but I have an amazing deal on rent and it does seem foolish to spend any more than I am paying now as I enjoy the freedom this low rent allows me. Since I got rid of SO MUCH stuff it almost feels like I just moved in! I barely have any furniture which feels really nice. I would like to say that I am a minimalist now, even though I’ve always kind of had that mindset, to consciously call myself a minimalist gives me even more clarity on how to live my life. Less waste, super planned out purchases and the feeling of not needing anything are some of the benefits of this lifestyle. For now, I am practicing feeling gratitude for all that I have. I am envisioning some new decorating I can do in my apartment to make it feel brand new to me and fill it with things that make me feel happy. I talked to the landlord about making some changes and I already have some new items picked out that would feel lovely in here…Stay tuned for more updates and check out my last vlog of more of what was said here and the yard sale I had to get rid of the old in order to make room for the new! 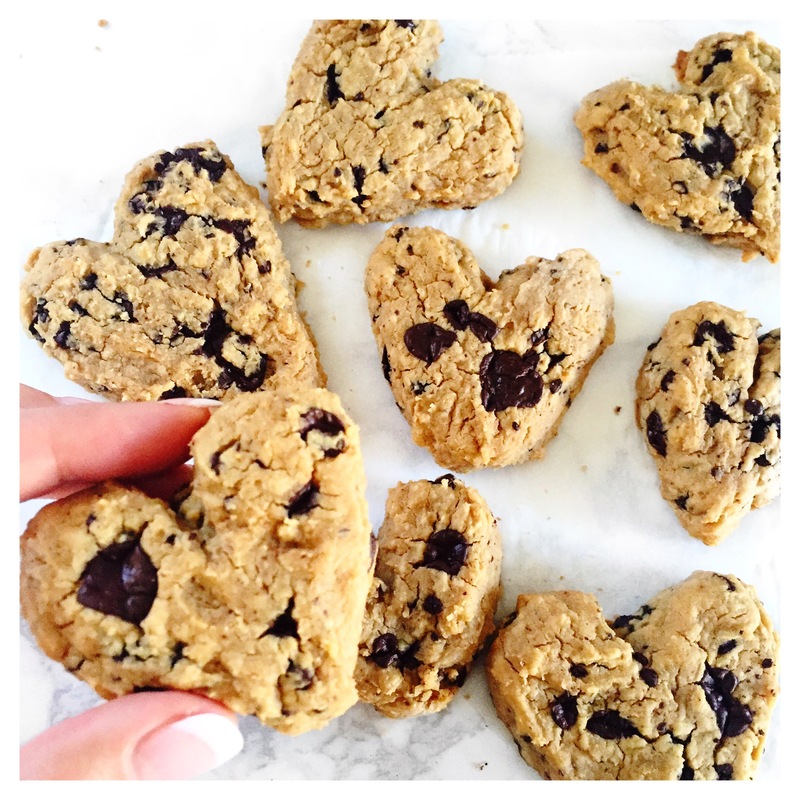 These are the easiest, healthiest, most tasty, unprocessed, vegan, gluten-free, protein cookies! Combine all the ingredients in a food processor except for the chocolate chips, blend until smooth. With wet hands, form into 1½” balls. Take a fork and gentle press down to make ridges and more round shape (wet fork in between so it doesn’t stick). Bake for about 15 minutes (or more if you like them crispy). Store in the fridge, they taste excellent cold! Also, in case you missed it, my last WHAT I ATE TODAY VIDEO IN 60 SECONDS!! Please subscribe on YouTube so you don’t miss a post! New Video! 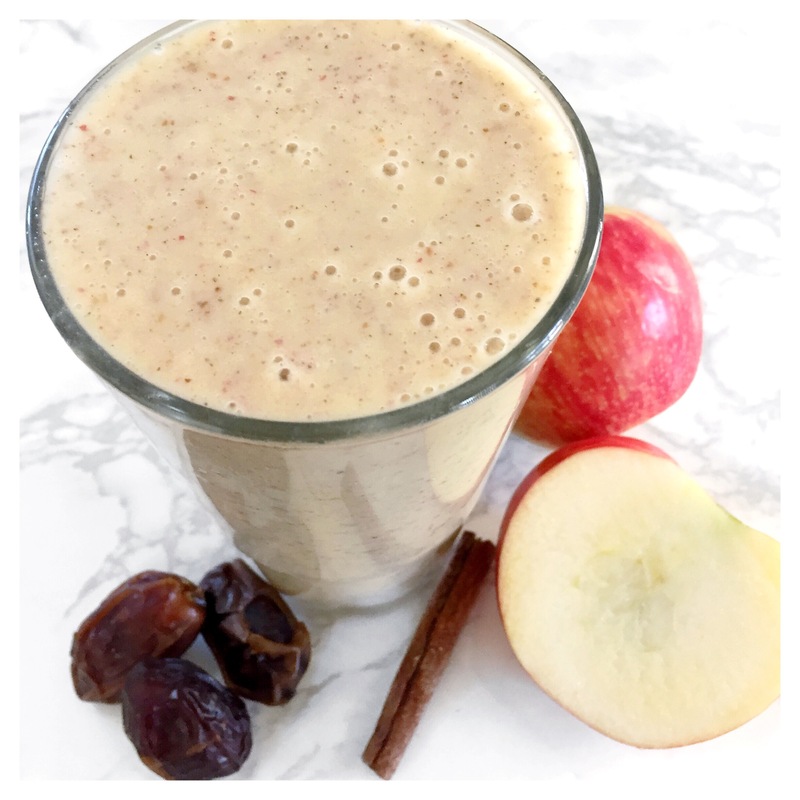 My Lunch with David + Sunrise Morning Routine! I have been meaning to get this video out for a few weeks now and I’m excited to share with you my lunch with Kundalini yoga teacher and fellow gluten-free vegan David Piazza!! He has been inspiring me with his transformational morning routine which is all about getting in at least one hour of mediation (which can be anything from prayer to arts and crafts) and then 2 hours of personal creative work all before the sunrises!! He starts his day off at 3:30 am and by the time most people are “off to work” he has already accomplished so much! Watch more about his routine in my latest video below which includes delicious vegan food from Cafe Gratitude and Carrot Cake! New What I Ate Today Video: Fall Edition! Start by softening the dates by soaking them in hot water for a few minutes. Mix remaining lemon, garlic and seasoning into a cup and stir to make the dressing. Wash, peel and chop potatoes, set aside in bowl. In a separate bowl, place all other ingredients and whip together. Pour mixture over potatoes and coat well. 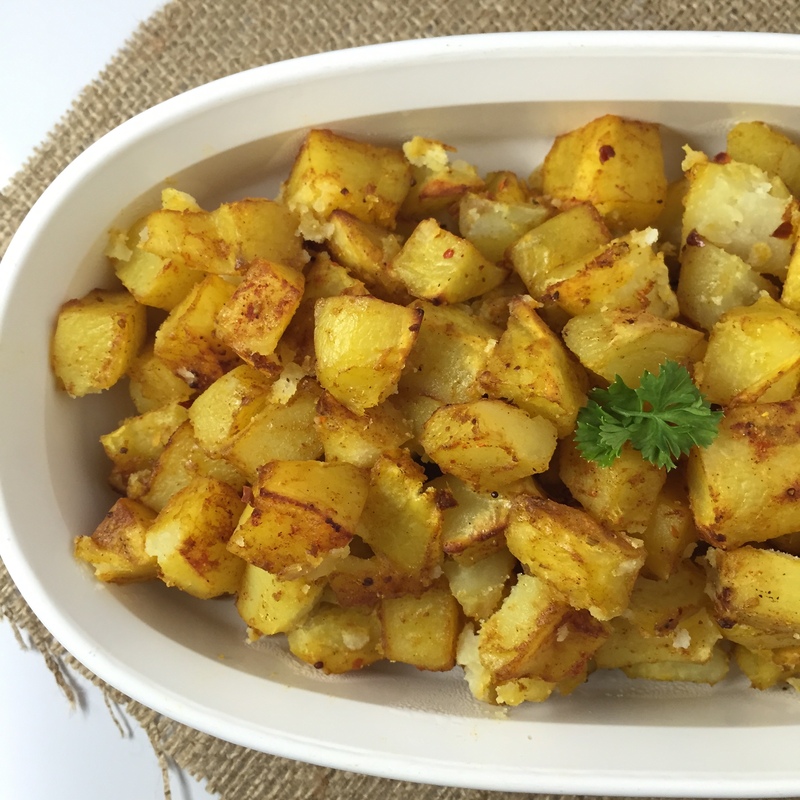 Place seasoned potatoes in a oiled baking dish or over parchment paper. Bake on 400f until soft inside and crisp about 50 mins to 1 hour. I talk a lot about food and nutrition, but the most important thing to our health is a positive mindset and how we deal with hard times. Someone can seem perfectly “healthy” on the outside, taking good care of themselves, eating healthy and working out, but if we don’t spend even more time on maintaining a positive and grateful mind, dis-ease can creep in. Art and music is one way we deal with a hard situation to connect to the beauty and humanity we all share. I found a “perfect” song a few weeks ago that really helped me and I share the story in my latest video. I want to know which songs/movies/art helps you?? Sharing some fall favorites that I’ve been loving lately from accessories to health stuff to make up! 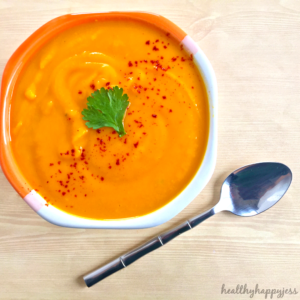 What I Ate Today Video: To Get Over a Cold FAST! Super nutrient dense foods loaded with iron and vitamins to help during menstruation or just to add plant-based nutrients to your diet. 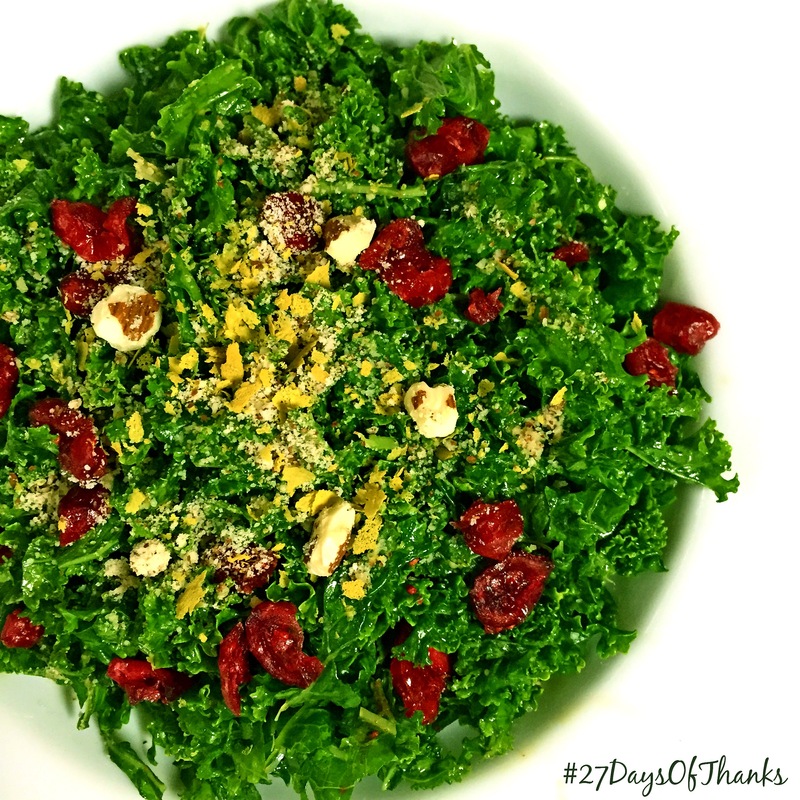 Filled with vegan and gluten-free recipes to help you feel and look your absolute BEST!